← I need a favour: Can you help me? This entry was tagged Andalucía, East of Malaga, Europe, Food, garden, gardening, Malaga, photography, Spain, weather, white villages. Bookmark the permalink. 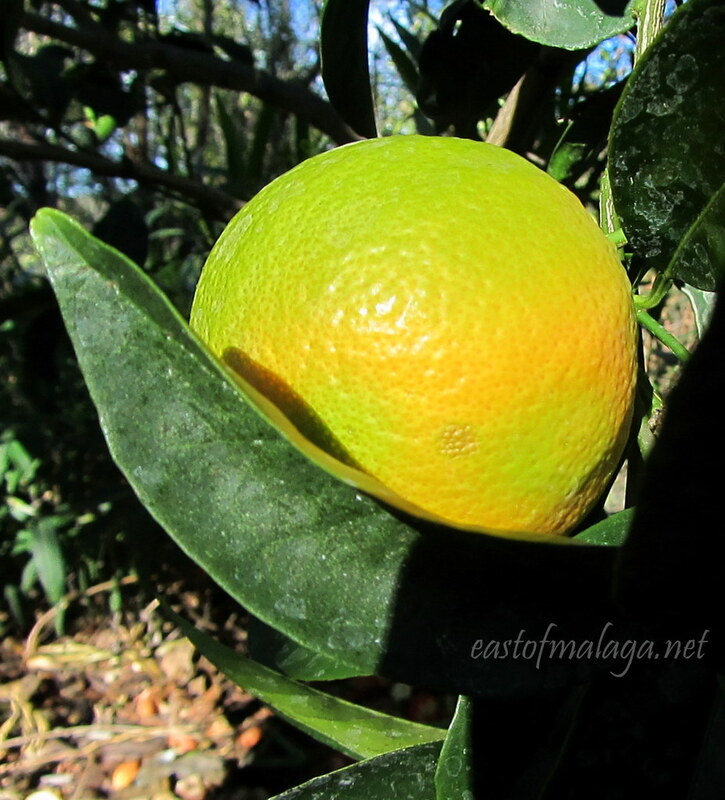 LOL – with the mount of oranges, lemons and limes we have on the trees this year, I´m sure you are right! Real oranges, how wonderful! So tomorrow there will be a new monthly challenge? I’ll try to do it this time! What came first the fruit orange or the colour orange? For some reason I’m now hankering for a fresh squeezed OJ (maybe with a slug of vodka) – it’s been a long day!!!! How strange! 😉 Go and treat yourself – you deserve it! Over in Portugal the oranges now have that orange tinge, but there is a field of really early oranges almost ready for picking, sadly for me they are not mine and are imprisoned by a high wire fence, so no scrumping. Speaking for those of us that live far outside citrus country, that’s a great shot! Well, it will be soon enough!